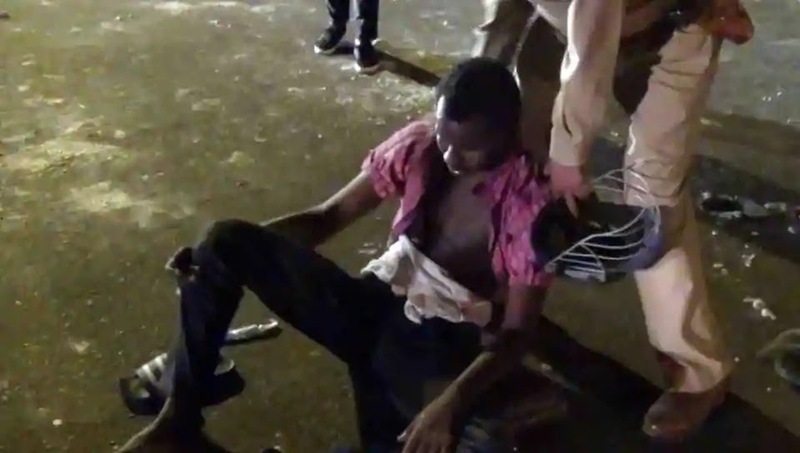 An African Nigerian students in Greater Noida India lying helplessly on the road from the attack of some foreigners. A police man helps the student, apparently injured in racial attack in Greater Noida. some Nigerians in foreign countries find it difficult to associate with foreigners, they experience bully day to day. they have no choice to leave rather they accept it the way they see it. some Nigerians are not safe in foreign countries, some are depressed, frustrated and some cant find their way back to their country. We wont be bullied by violence: Nigerian students attacks. 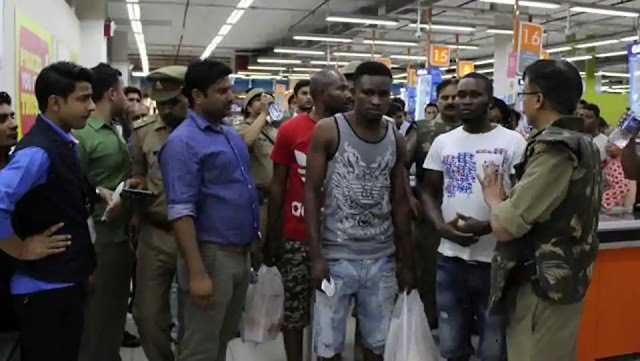 An African national talk to a police man after a suspected racial attack on them.